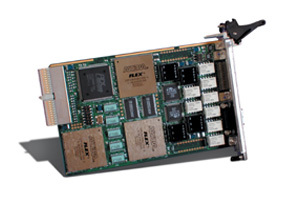 DDC''s BU-65570T/72T is a versatile CompactPCI 1553 Card designed for the test and simulation of MIL-STD-1553 systems. It provides full, intelligent interfacing for one or two serial dual redundant MIL-STD-1553 data buses and a CompactPCI chassis.The BU-65570T card offers a fixed bus voltage output while the BU-65572T card has variable voltage output transceivers for each of the two buses. Support is provided for IRIG receiving 1Khz Pulse Code Modulated input in both the BU-65570T and BU-65572T as a standard feature. IRIG-B (Inter-Range Instrumentation Group) is a Parallel time code defined by IRIG Standard 200-95. The 1553 card design includes a PCI Master Mode, which has the capability to transfer blocks of data to the host via Direct Memory Access in the Monitor mode. PCI true Plug and Play compatibility is also provided, simplifying installation into a CompactPCI compliant system. 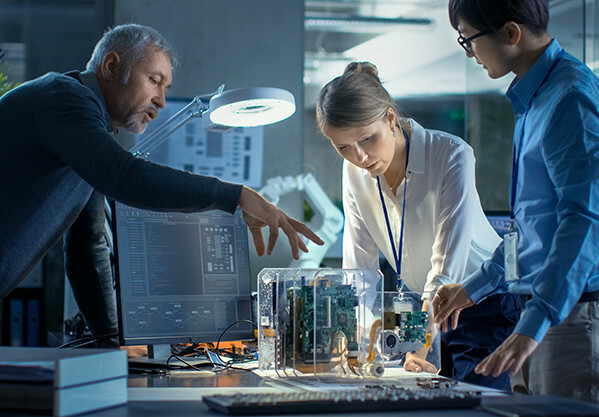 The bus connection and configuration (transformer or direct) are software controlled, as well as software configuration for the bus termination. The BU-65570T/72T 1553 test cards still provide the Bus Controller, Remote Terminal, and Monitor functions of its DDC predecessors. C, Visual Basic, LabVIEW and LabVIEW Real-Time programming libraries are supplied with the card. The software libraries include access to the play-back capabilities of the board.